If you must pop pills, pop kief pills, into your pipe that is! Learn how to make a personal kief press at home for pennies! So you have scrimped and saved every spec of kief from the bottom of your grinder. What next? Do you simply spread the sweet shake on your bowl? It sizzles or smokes heavily, true. But the bowl is often gone far faster than that savory something extra. How do you get the longest, strongest smoke from that hard earned kief? Enter the kief press. 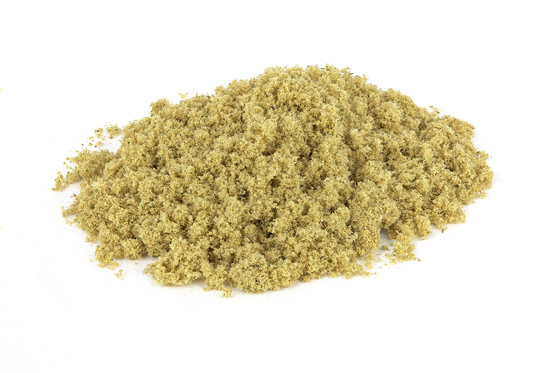 Kief is the wonderfully potent trichome stalks and glands that fall off your herb. These little glands make the magic because they produce the THC. You can press the kief and add low heat to make hash. 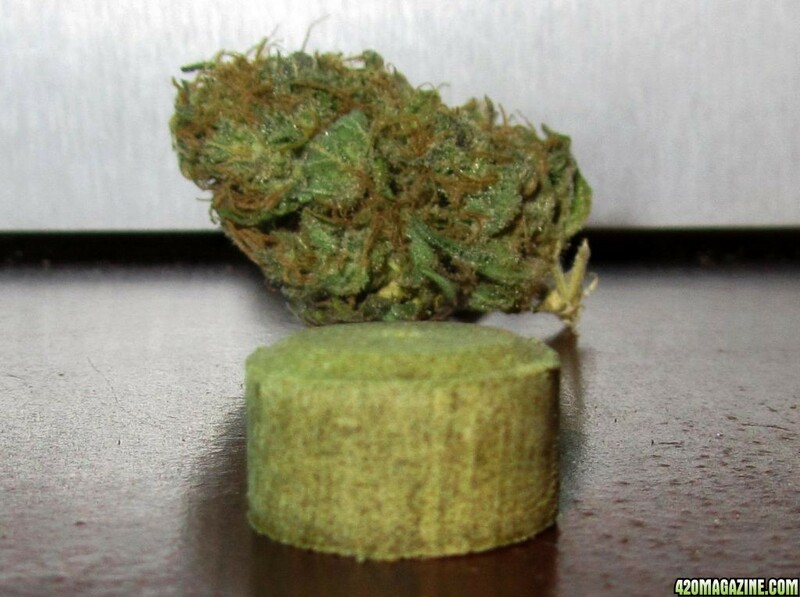 Essentially that is the goal of a kief press, squeezing the trichomes into a hardened shape, minus the heat. You can make that delicious and potent kief into a hardened brick, and smoke it longer than the charcoal briquets in your grill last Fourth of July! Pressed kief discs are easy to make. There are amazing kief presses available online, or at your local smoke shop (possibly). But these don’t come cheap. The one pictured above goes for almost $100! If you are like me, you hate parting with that hard earned dough, even for a good investment. So why not take it upon yourself to make a simple kief press at home for pennies? 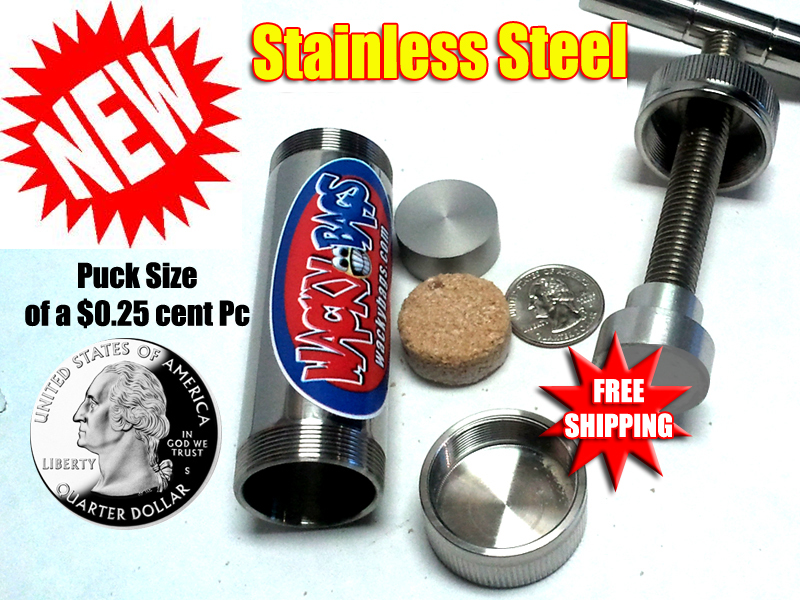 This press will make you some nice little discs, perfect for putting in your pipe. Start off with a pencil (unsharpened). Get a segmented ink pen with a straight metal body that is very slightly larger in diameter than the pencil. Grab some sturdy paper and you are set. Take apart the pen. Ideally, you should search for one that threads on the outside of the metal tube, not the inside. Threads will transfer to the disc, and prevent it sliding out smoothly. Scrap your grinder, or dump the bag you save it in onto the paper. This acts as a funnel when you fold it. Gently tip and tap the kief off the paper into the metal cylinder, sitting on a smooth, flat surface. Take the pencil, and use it to tap the kief down firmly into a small disc or pill. This “pill press” only takes seconds to make, and seconds to use. Press and pack hard, until you can’t push down anymore. You will end up with a nice kief pill, perfect for popping into your bowl to smoke on leisurely. You can make the kief discs taller, but the ideal size is about the size of a regular prescription pill. To make taller discs, pack some kief down, then add more. Too much unpacked kief at once in a small press might cause it to press too lightly, and crumble. You also might tip the press and shoot your hard earned puck across the table like a game of air hockey! All you have to do to get it out is lift off the table, and push the pencil through. Voila! Have you smoked pressed kief? Does it last you longer than a bowl of regular herb? Tell us on social media or in the comments section below.